Greetings crafty peeps! 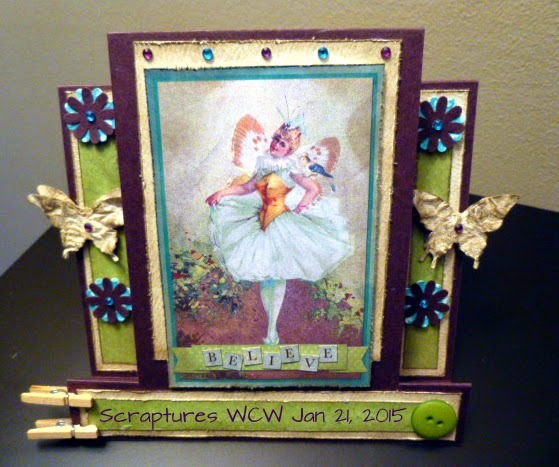 We're going back to the Enchanted Garden for this week's SCRAPTURES Wild Card Wednesday project. I really liked the fairy cards that came in the ephemera pack and thought a centre step card would feature one of the pretty fairies nicely. Awesome center step card, thanks for the tutorial, is it and A2 card?